This project was created on 04/02/2016 and last updated 2 years ago. Imagine you&apos;re in the ealy 20th century, with the old technology but with all the knowledge of today. What would you do ? * Piezo-electricity was studied by Pierre & Jacques Curie in 1880. In the 1920s, Pierce nailed oscillators and in 1927, the first quartz-synched clock was built by Warren Marrison and J.W. Horton at Bell Labs. * The LED effect was first observed in a point-contact diode in 1907. Actual production began in the 1960s. Let&apos;s say we&apos;re in the 1950s and gotten seed funding. Making a clock would be a logical application despite the higher parts cost compared to radios. Logic gates are more tolerant to leakage, low gain and fab variations. Indeed, early computers were built out of low-grade transistors! This is the "neovintage" version of #Yet Another (Discrete) Clock using original old parts as much as possible "for research purpose". I (@Yann Guidon / YGDES) receive help from two contributors who have more experience with Germanium than me: @Alexander Shabarshin and @jaromir.sukuba. This is invaluable to decypher russian parts and cyrillic data sheets or circuits, thank you guys ! Alexander writes about one half of the logs, and he also started his own germanium clock project using circuits we develop here. This diagram must be corrected because it works well for MOSFETs but Ge BJTs behave differently, the previous sentence means "there is no 7-segments decoder". The chosen clock source is a 18KHz quartz resonator in a glass tube. Total: 39 FlipFlops. 19. Even more bistables ! 20. Even more bistables: plot twist ! Even more bistables: plot twist ! Today I received an email that I couldn&apos;t expect at all. Enjoy ! I enjoyed your hackaday posting of the 2n554 flip-flop circuit. I built the computer described in that Popular Electronics article in high-school in 1964. Those circuits were later reused in my KB/67 (Kalin-Burkhart) project. Here&apos;s a bit more about the history of that flip-flop circuit. I was always curious where that circuit design originated, and did some follow-up. That flip-flop was also featured in the January 1960 issue (page 65) of Electronics Illustrated in an article by Ronald Benrey. He contributed many projects to electronics magazines during that time. His homemade satellite appeared in the October 1958 issue of Popular Electronics. Looks like the flip-flop circuit is from Performance Tested Transistor Circuits, (page 47) published by Sylvania in 1958. Although that circuit uses a different transistor, 2n307, Benrey substituted the 2n554, which was a common substitution. Before finding the Sylvania document, I thought perhaps that the circuit may have come from a Motorola publication.There was a 2n554 application bulletin published, which I&apos;ve not been able to find. But I did find an ad (attached) for that bulletin. At least from that write-up, the flip-flop circuit is not included. That demo computer described in the PE article also made the cover of Computers and Automation in Nov 1960. Very brief description on page 20. One of these units was listed on ebay last year, 2 photos attached. The last log (More bistables) found some explanations of the weird flip-flop schematic I initially found. Today, a comment by RSMilward on hackaday.io brought a new light to the mystery ! From the experience with the 10TFF and looking at vintage circuits, I realise something about edge-triggered flip-flops with only 2 transistors. In the 10TFF, a temporary value is held as a charge on one transistor&apos;s gate. This principle is found in the 2BJT circuits with actual capacitors, which are "protected" from the previous stage by a series resistors. This resistor is critical for the speed and power consumption. The RC constant must be adapted to the system&apos;s speed. That&apos;s where the 2BJT circuits reach their limit... For the "slow" parts of the clock, this is not a problem and this will save quite a lot of germanium parts, but there are quite a few diodes and other passive parts. I still feel that the divide-by-two diagram in the "details" page is messy. I tried to address this (rather critical) issue in Easier frequency division but the principle is not reliable enough. The old (1968?) book also explains how the whole thing works. I&apos;m concerned that the OC70 might not be fast enough to work at 18KHz so I must find a more reliable (ECL-based ?) method for the first stages of the predivider. I&apos;ve been pretty confused by the 2-transistors latch that is shown on the project details page. I&apos;ve been looking of a simpler, yet compact DFF circuit that uses few transistors. if A is not 0 volts (false value, "0"), the transistor will work as a collector follower and, by a pulse at its base, reset the circuit." The latching cell contains a OC47 and OC141. OC141 is NPN germanium, OC47 is PNP (like the OC70 I have). Creating a latch cell is pretty easy and does not depend on the polarity of the transistor so that&apos;s not critical. What I&apos;m after is a way to change/force the value with the least parts possible and the OC141 on the left does just that. This is the most interesting part ! Let&apos;s notice the two capacitors (of identical values: 4.7nF) and the resistor divider (10K, 10K) on the A input. The capacitor on A stores the data&apos;s charge, while the series input resistor isolates it from the source circuit (probably to reduce data leakage while it changes from a simultaneous clock pulse). The base is clearly (from the text) connected to the resistor divider 22K/2K, energised by the clock signal, through the series capacitor. The point is clearly how they use a NPN to work as a "pass gate", while the input value is held in the capacitor. The clock capacitor has a similar value so both discharges are simultaneous. Now, the awaken @esot.eric will notice that when A is low, B is high and a rising pulse appears on T, then the pass transistor is ... reverse biased ? Current will flow from B to the input capacitor (but not A because of the resistor). Does that remind any Eric of a "almost functioning" circuit with a mistaken transistor ? Whatever the case, it&apos;s very interesting because each DFF uses only 3 transistors, no diode (though I&apos;ll add one for the reset), and the circuit can be tuned for other voltage rails. It shouldn&apos;t be hard to modify it for an all-OC70 design. With "only" 3 transistors, plus 2 to drive the outputs, the whole clock system requires something like 39DFF×5=195 transistors. Add some more for housekeeping (oscillator, buffers, drivers, decoders...) and this might reach 250 transistors, which is a desired outcome. The "pass trick" exposed above might be the detail that makes this whole project realistic. The OC70 is a "lazy" transistor and the 8KHz oscillator is close to its maximum working frequency. Yet this frequency must be divided because the digital counters need "time" to work. I&apos;ve been naturally thinking of an analog circuit that oscillates at 1/2 or 1/3 of the input frequency, and gets synchronised to the input frequency, which would be the reverse of an "overtone" frequency multiplier. This procedure was reversed by Hull and Clapp72, who discovered that the fundamental frequency could be controlled by coupling the high-frequency source directly into the circuit of the multivibrator. This, in fact, is a general property of any oscillator in which the operating cycle involves a non-linear current-voltage characteristic, being most pronounced in those of the relaxation type. Van der Pol and Van der Mark in 1927 reported on some experiments on "frequency demultiplication" using gas tube relaxation oscillators73. The multivibrator is, in effect, a relatively stable relaxation oscillator74, and with slight modification has been used extensively as the frequency-reducing element in quartz-controlled time and frequency standards throughout the world. One serious difficulty with the multivibrator type of submultiple generator has been that, if the input fails or falls below a critical level, it will continue to deliver an output which, of course, will not hen have the expected frequency. Certain variables in the circuit, such as tube aging, may cause a similar result. With this in view, a general method for frequency conversion has been developed by R. L. Miller75, in which the existence of an output depends directly on the presence of the control input. The basic, idea involved in this, now known as regenerative modulation, was anticipated by J. W. Horton in 191976 but had not been developed prior to Miller&apos;s investigations. The circuit of a regenerative modulator in its simplest form as a frequency divider of ratio "two" is shown in Fig. 12. Fig. 12--Frequency divider for ratio TWO employing regenerative modulation. So once again, reinventing the clock with old parts lets me discover century-old methods. I have seen a few relaxation oscillators used as frequency dividers and they look more practical than flip-flops, can run faster and use less parts. So it was a very fortunate idea that I got some OC139 (NPN Ge) ! The other benefit of a relaxation oscillator is the possible cross-coupling with the Xtal oscillator to "help" or "kick" it into oscillation. My initial idea was more using an astable multivibrator. In fact that&apos;s what Injection-Locked Frequency Dividers (ILFD, discovered at Crystal oscillator with MOSFETs (new episode)) do, by modulating the operating voltage of the multivibrator with another transistor. The advantage of a multivibrator is that it uses only one kind of transistors so it will not use my short supply of 0C139. As time progresses, I (Yann) am turning more toward European sources of vintage transistors. Honestly, I bought the first Germanium transistors (the soviet МП13Б and МП26А) as "double diodes" for the reset signals and only later I thought about using them for switching purposes. Still, they look like transistors and the performance is not fabulous. I can get away with many quirks but the efforts must be worth it. I want the parts to be and look special, what&apos;s the point otherwise ? 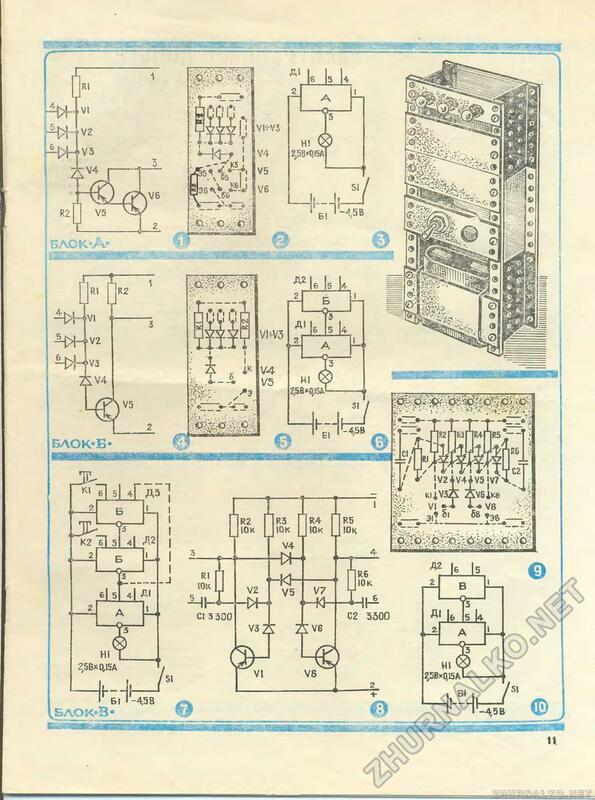 The Telefunken parts look great to design a "numbers processing circuit". I&apos;m not sure what can be done with only 400pc though. The AC125 are not fast enough for high speed processing but can manage the clock oscillator and prescaler of the clock. Or more. It&apos;s germanium-y and can make a nice clock too. The datasheet is pretty complete (if it&apos;s really from the same manufacturer). But the OC70 is the thing for this Germanium Clock project, with its totally odd look and antique characteristics, a blast from the late 50s ! Transition frequency of 15KHz ? Wow that&apos;s not fast... So it can only be used for the counter of hundredths of seconds, not closer to the prescaler. I have read somewhere that Mullard&apos;s OC70 were used in the first British transistorised computers and digital devices so "it should be ok" and it should suitable for the clock&apos;s slow counters. Now that I have the parts, I can start the design of the elementary blocks : latch and counters. There are about 40 blocks but I don&apos;t know how many transistors will be needed. I don&apos;t even know who manufactured these or when. I&apos;ll have to test them ! Update: A pair of randomly picked OC70 of this batch can run the Xtal oscillator at 8KHz ! I can better appreciate their characteristics : they are "lazy" with just enough gain but low bandwidth. They can be "boosted" by increasing the power supply voltage though. Oscillation can be sustained at 3V but needs double to startup. The dual-stage amplifier circuit works great and it&apos;s important to match the sensor&apos;s trimmer to the quartz impedance (the trimmer is set at 16.45K). The other pot is used to center the signal/oscillation in the working range (check with the scope if there is no saturation) and you&apos;re done. In the previous episode, Reverse-engineering vintage quartz resonators, we had a lot of questions and a few hints. The best way to be sure was to try them. I took the previous board (see Crystal Oscillator (Germanium Edition)) and removed the 32768Hz Xtal. Instead I put a 3-pins socket, with ground in the middle. I put the 2 crystals (in succession) on a connector and tested them. The wristwatch crystal needs quite specific parameters to work correctly. The russian crystal just worked, oscillating immediately with the parameter of the tiny crystal. Oscillation persists even with both trimmers cranked up to the max (47K Ohms) at 1.5V (though startup was slow). But even then, it just worked, using low gain transistors (hFE=37). I feared that operating it would be difficult, like requiring more driving energy because of the larger size (higher motional inertia) and other factors. But the tube just "rings". No I can&apos;t hear it but it picked up the oscillations much better than the tiny tuning fork, requiring less energy. One surprising result was that it works better when the "large electrode" is on the driving side, leaving the small electrode to the sensing side. I haven&apos;t tried all the 6 combinations/permutations of the pins yet, though, but this would be a very interesting experminent. But first I need a tool/measure to measure the gain, other than the time taken by the oscillations to reach full range. We&apos;ll see soon how it behaves and how it is tuned. R2 and R4 have been increased because the signal saturates fast, and saturation is not good. Actually, the best is to have a small sine, less distorsion and better accuracy. Due to the higher sensitivity of the crystal, R1 and R3 can be increased as well. C2 must be evaluated. I don&apos;t have the means to calibrate this frequency yet (my #ScoPower gizmo is fixed to 32768Hz). I&apos;m waiting for my Rb source and a DDS. I will have to evaluate the effect of leakage, thus of temperature-induced drift. To compensate power supply voltage drift, I&apos;ll probably add a micropower voltage regulator. No Zener diode because of the tempco and the worse regulation ratio. This is why I try to make it work at a lower voltage than the rest. The seller provided the following picture but even after receiving the crystals in tubes, many questions remain. First, is it series or parallel resonance ? The 4 connections are at the "immobile" points of the crystal, to prevent damping, at 1/4 and 3/4 of the length of the crystal (though it looks like 1/6 and 5/6 to me in my tube). The electrodes prevent most harmonic/overtone vibration modes because the "middle" electrode (2/3) short-circuits opposite charges. So the frequency and waveform/shape would be quite pure and stable. The "passport" that @[skaarj] translated (in the comments) mentions -80°C to +80°C operating conditions, which are another hint for the cut. It seems to be symmetric around 0°C, which is unusual. Finding (or measuring???) the temperature response curve would help even more. Does anyone have a climate testing chamber ? One more hint would be the internal connexions. Some electrodes are connected to structural elements, hence have higher capacitance. Some output wires are connected in parallel with the structure, as well. The two bottom circuits use the classical 2-electrodes quartz but the top one has 4 electrodes, more like my tube ! Things add up nicely :-) 7.5×4=30mm, so the oscillation is in bending mode, perpendicular to the electrode platings. Contacts are placed at the point of least motion, to prevent attenuation, at 1/4 and 3/4. The puzzling part is the 8.3mm of the short electrode, I don&apos;t know why this length. The ±3.6 ratio does not correspond to an obvious mathematical relation. It&apos;s close to 3.3 and has misled me but maybe the measurement is not precise enough. While i studied "yet another discrete clock" project (very neat D-type flip-flops and Johnson counters), i must admit that binary logic is best in that it is very reliable and tolerates components drift but at cost of complexity. Is actually binary a must? Why not to have "analog" appliance, at least it will be an unusual approach. There are oscillator and two stages of divide by 10. It says that each stage can divide by max 7 with ferrite cores, and by max 13 with now obsolete Al-Si-Fe cores (huge 36 mm diameter, low mu, low frequency, high flux. I believe modern iron powder might go just as fine). First coil is 0,33 Henry and next 3,3 Henry. Of course main disadvantages are complicated adjusting tank freq. and need for thermal stability of LC tanks (i believe 2,5% or better in whole temperature range ). Pobably need for careful temp compensation? And probably the weirdest : unmarked OC70, that look like it was made yesterday. Apparently, "germanium is a thing" like vinyl LPs, factories seems to be restarted ! Anyway I have enough stock to work on 4T flip-flops. If you have other "ideas" about them, please share ! For example I found this "logic gate"
@Alexander Shabarshin awesome, thank you ! Thanks for your precious time ! On the other hand any silicon BJT is also light sensitive. I remember cutting of the tops of TO3 encapsulated 2N3055&apos;s and using them as foto sensors when I was a teenager back in the late seventies.... I think that they actually generated quite a low of power in bright light. Oh those yellowish scans from Russian magazines bring back the memories to five issues of Modelist-Konstruktor magazines I bought for 3 Slovak crowns (~= ten eurocents) from my schoolmate - back in 1993 - I was in third grade of elementary school. Funny thing is that I didn&apos;t understand a single word, I didn&apos;t even understand Russian alphabet. My father learned me it in one Sunday afternoon, so I could somehow read the articles (one in five Russian words resembles somehow equivalent Slovak word). That was the time when I got fascinated by electronics. The M-K magazine had similar look & feel. Having a bag of 500+ germanium switching transistors, this looks like the right pointless project for me! I must admit I&apos;m slightly obsessed with germanium components. How fast can germanium transistors compute ? And how much current will that draw ? You are about to report the project "Clockwork germanium", please tell us the reason.